Mitsubishi Lancer 1.2 4MT 4MT 4dr Sedan 4MT 70 л.с. 1976 г. 1979 г.
Mitsubishi Lancer 1.2 5MT 5MT 4dr Sedan 5MT 70 л.с. 1976 г. 1979 г.
Mitsubishi Lancer 1.2 MCA 4MT 4MT 4dr Sedan 4MT 73 л.с. 1975 г. 1976 г.
Mitsubishi Lancer 1.2 MCA 5MT 5MT 4dr Sedan 5MT 73 л.с. 1975 г. 1976 г.
Mitsubishi Lancer 1.2 MCA MT 4MT Wagon 4MT 73 л.с. 1977 г. 1979 г.
Mitsubishi Lancer 1.2 MCA MT 4MT Wagon 4MT 72 л.с. 1979 г. 1981 г.
Mitsubishi Lancer 1.2 MT 4MT 2dr Sedan 4MT 70 л.с. 1973 г. 1974 г.
Mitsubishi Lancer 1.2 MT 4MT 4dr Sedan 4MT 70 л.с. 1973 г. 1974 г.
Mitsubishi Lancer 1.2 MT 4MT 4dr Sedan 4MT 70 л.с. 1974 г. 1975 г.
Mitsubishi Lancer 1.2 MT 4MT Sedan 4MT 55 л.с. 1979 г. 1983 г.
Mitsubishi Lancer 1.2 MT 4MT Wagon 4MT 70 л.с. 1973 г. 1974 г.
Mitsubishi Lancer 1.2 MT 4MT Wagon 4MT 80 л.с. 1976 г. 1977 г.
Mitsubishi Lancer 1.2 MT 4MT Wagon 4MT 70 л.с. 1981 г. 1985 г.
Mitsubishi Lancer 1.3 4MT 4MT Sedan 4MT 69 л.с. 1988 г. 1989 г.
Mitsubishi Lancer 1.3 5MT 5MT Sedan 5MT 69 л.с. 1988 г. 1989 г.
Mitsubishi Lancer 1.3 AT 3AT 4dr Sedan 3AT 79 л.с. 1991 г. 1994 г.
Mitsubishi Lancer 1.3 AT 4AT 4dr Sedan 4AT 75 л.с. 1995 г. 1997 г.
Mitsubishi Lancer 1.3 AT 4AT 4dr Sedan 4AT 88 л.с. 1995 г. 1997 г.
Mitsubishi Lancer 1.3 AT 4AT Sedan 4AT 88 л.с. 1997 г. 2000 г.
Mitsubishi Lancer 1.3 MT 5MT 4dr Sedan 5MT 79 л.с. 1991 г. 1994 г.
Mitsubishi Lancer 1.3 MT 5MT 4dr Sedan 5MT 75 л.с. 1995 г. 1997 г.
Mitsubishi Lancer 1.3 MT 5MT 4dr Sedan 5MT 88 л.с. 1995 г. 1997 г.
Mitsubishi Lancer 1.3 MT 5MT 4dr Sedan 5MT 82 л.с. 2003 г. 2005 г.
Mitsubishi Lancer 1.3 MT 5MT Sedan 5MT 75 л.с. 1990 г. 1996 г.
Mitsubishi Lancer 1.3 MT 5MT Sedan 5MT 88 л.с. 1997 г. 2000 г.
Mitsubishi Lancer 1.3 MT 5MT Sedan 5MT 82 л.с. 2005 г. 2007 г.
Mitsubishi Lancer 1.4 4MT 4MT 2dr Sedan 4MT 92 л.с. 1973 г. 1974 г.
Mitsubishi Lancer 1.4 4MT 4MT 4dr Sedan 4MT 92 л.с. 1973 г. 1974 г.
Mitsubishi Lancer 1.4 4MT 4MT 4dr Sedan 4MT 92 л.с. 1974 г. 1975 г.
Mitsubishi Lancer 1.4 4MT 4MT 4dr Sedan 4MT 82 л.с. 1976 г. 1979 г.
Mitsubishi Lancer 1.4 4MT 4MT Sedan 4MT 68 л.с. 1979 г. 1983 г.
Mitsubishi Lancer 1.4 5MT 5MT 2dr Sedan 5MT 92 л.с. 1973 г. 1974 г.
Mitsubishi Lancer 1.4 5MT 5MT 4dr Sedan 5MT 92 л.с. 1973 г. 1974 г.
Mitsubishi Lancer 1.4 5MT 5MT 4dr Sedan 5MT 92 л.с. 1974 г. 1975 г.
Mitsubishi Lancer 1.4 5MT 5MT 4dr Sedan 5MT 82 л.с. 1976 г. 1979 г.
Mitsubishi Lancer 1.4 AT 3AT 4dr Sedan 3AT 92 л.с. 1974 г. 1975 г.
Mitsubishi Lancer 1.4 AT 3AT 4dr Sedan 3AT 82 л.с. 1976 г. 1979 г.
Mitsubishi Lancer 1.4 AT 3AT Sedan 3AT 68 л.с. 1979 г. 1983 г.
Mitsubishi Lancer 1.4 MCA 4MT 4MT 4dr Sedan 4MT 85 л.с. 1975 г. 1976 г.
Mitsubishi Lancer 1.4 MCA 5MT 5MT 4dr Sedan 5MT 85 л.с. 1975 г. 1976 г.
Mitsubishi Lancer 1.4 MCA AT 3AT 4dr Sedan 3AT 85 л.с. 1975 г. 1976 г.
Mitsubishi Lancer 1.4 MCA MT 4MT Wagon 4MT 85 л.с. 1977 г. 1979 г.
Mitsubishi Lancer 1.4 MCA MT 4MT Wagon 4MT 83 л.с. 1979 г. 1981 г.
Mitsubishi Lancer 1.4 MT 4MT Wagon 4MT 92 л.с. 1973 г. 1974 г.
Mitsubishi Lancer 1.4 MT 4MT Wagon 4MT 92 л.с. 1976 г. 1977 г.
Mitsubishi Lancer 1.4 MT 4MT Wagon 4MT 80 л.с. 1981 г. 1985 г.
Mitsubishi Lancer 1.5 AT 4AT 4dr Sedan 4AT 115 л.с. 1991 г. 1994 г.
Mitsubishi Lancer 1.5 AT 4AT 4dr Sedan 4AT 97 л.с. 1991 г. 1994 г.
Mitsubishi Lancer 1.5 AT 4AT 4dr Sedan 4AT 94 л.с. 1995 г. 1997 г.
Mitsubishi Lancer 1.5 AT 4AT 4dr Sedan 4AT 109 л.с. 2007 г. 2010 г.
Mitsubishi Lancer 1.5 AT 4AT Sedan 4AT 84 л.с. 1988 г. 1989 г.
Mitsubishi Lancer 1.5 AT 4AT Sedan 4AT 84 л.с. 1989 г. 1990 г.
Mitsubishi Lancer 1.5 AT 4AT Sedan 4AT 110 л.с. 1997 г. 2000 г.
Mitsubishi Lancer 1.5 AT 4WD 4AT 4dr Sedan 4AT 97 л.с. 1991 г. 1994 г.
Mitsubishi Lancer 1.5 AT 4WD 4AT 4dr Sedan 4AT 110 л.с. 1996 г. 1997 г.
Mitsubishi Lancer 1.5 AT 4WD 4AT Sedan 4AT 110 л.с. 1997 г. 2000 г.
Mitsubishi Lancer 1.5 AT 5AT 5dr HB 5AT 109 л.с. 2008 г. 2010 г.
Mitsubishi Lancer 1.5 AT Intense S12 4AT Sedan 4AT 109 л.с. 2010 г. 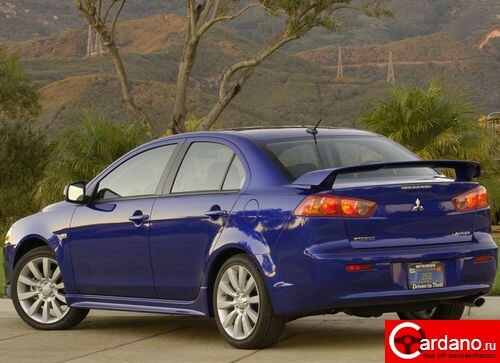 2012 г.
Mitsubishi Lancer 1.5 CVT 4WD CVT 4dr Sedan CVT 90 л.с. 2003 г. 2005 г.
Mitsubishi Lancer 1.5 CVT 4WD CVT Sedan CVT 100 л.с. 2000 г. 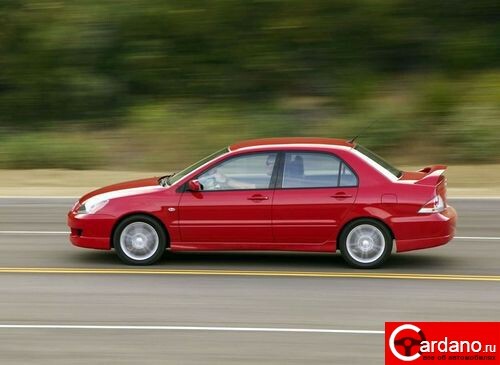 2003 г.
Mitsubishi Lancer 1.5 CVT 4WD CVT Sedan CVT 89 л.с. 2000 г. 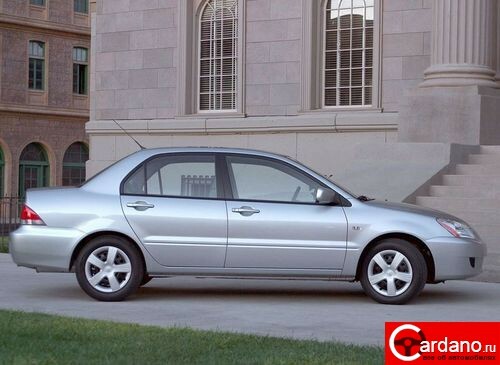 2003 г.
Mitsubishi Lancer 1.5 CVT 4WD CVT Sedan CVT 90 л.с. 2005 г. 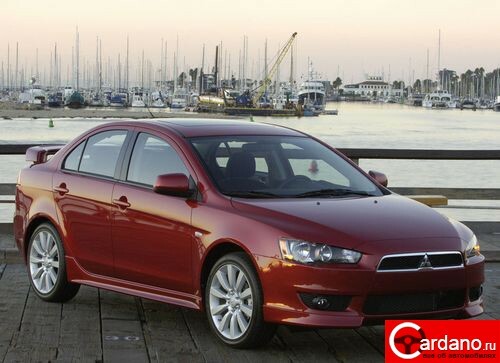 2008 г.
Mitsubishi Lancer 1.5 CVT CVT 4dr Sedan CVT 90 л.с. 2003 г. 2005 г.
Mitsubishi Lancer 1.5 CVT CVT Sedan CVT 100 л.с. 2000 г. 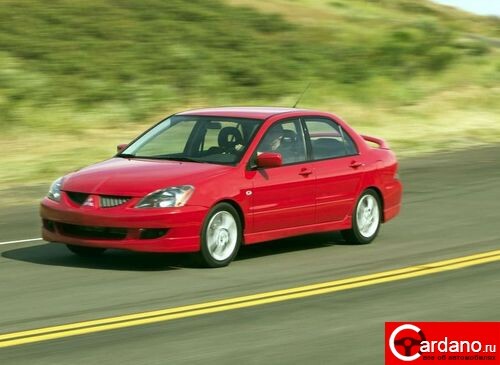 2003 г.
Mitsubishi Lancer 1.5 CVT CVT Sedan CVT 89 л.с. 2000 г. 2003 г.
Mitsubishi Lancer 1.5 CVT CVT Sedan CVT 90 л.с. 2005 г. 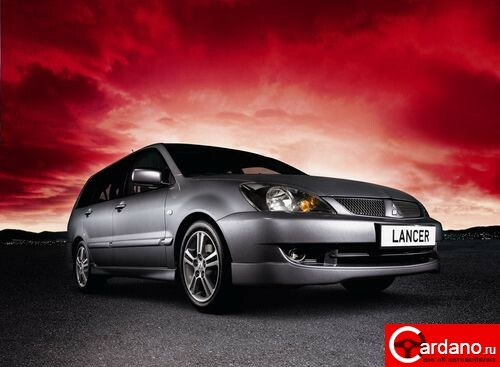 2008 г.
Mitsubishi Lancer 1.5 CVT CVT Wagon CVT 90 л.с. 2003 г. 2005 г.
Mitsubishi Lancer 1.5 MT 4WD 5MT 4dr Sedan 5MT 97 л.с. 1991 г. 1994 г.
Mitsubishi Lancer 1.5 MT 4WD 5MT 4dr Sedan 5MT 110 л.с. 1996 г. 1997 г.
Mitsubishi Lancer 1.5 MT 4WD 5MT Sedan 5MT 110 л.с. 1997 г. 2000 г.
Mitsubishi Lancer 1.5 MT 5MT 4dr Sedan 5MT 115 л.с. 1991 г. 1994 г.
Mitsubishi Lancer 1.5 MT 5MT 4dr Sedan 5MT 97 л.с. 1991 г. 1994 г.
Mitsubishi Lancer 1.5 MT 5MT 4dr Sedan 5MT 94 л.с. 1995 г. 1997 г.
Mitsubishi Lancer 1.5 MT 5MT 4dr Sedan 5MT 90 л.с. 2003 г. 2005 г.
Mitsubishi Lancer 1.5 MT 5MT 4dr Sedan 5MT 109 л.с. 2007 г. 2010 г.
Mitsubishi Lancer 1.5 MT 5MT 5dr HB 5MT 109 л.с. 2008 г. 2010 г.
Mitsubishi Lancer 1.5 MT 5MT Sedan 5MT 84 л.с. 1988 г. 1989 г.
Mitsubishi Lancer 1.5 MT 5MT Sedan 5MT 84 л.с. 1989 г. 1990 г.
Mitsubishi Lancer 1.5 MT 5MT Sedan 5MT 110 л.с. 1997 г. 2000 г.
Mitsubishi Lancer 1.5 MT 5MT Sedan 5MT 89 л.с. 2000 г. 2003 г.
Mitsubishi Lancer 1.5 MT 5MT Sedan 5MT 90 л.с. 2005 г. 2008 г.
Mitsubishi Lancer 1.5 MT Intense S12 5MT Sedan 5MT 109 л.с. 2010 г. 2012 г.
Mitsubishi Lancer 1.6 AT 4AT 4dr Sedan 4AT 113 л.с. 1991 г. 1994 г.
Mitsubishi Lancer 1.6 AT 4AT 4dr Sedan 4AT 140 л.с. 1992 г. 1994 г.
Mitsubishi Lancer 1.6 AT 4AT 4dr Sedan 4AT 175 л.с. 1993 г. 1995 г.
Mitsubishi Lancer 1.6 AT 4AT 4dr Sedan 4AT 175 л.с. 1995 г. 1997 г.
Mitsubishi Lancer 1.6 AT 4AT 4dr Sedan 4AT 98 л.с. 2003 г. 2005 г.
Mitsubishi Lancer 1.6 AT 4AT Sedan 4AT 175 л.с. 1997 г. 2000 г.
Mitsubishi Lancer 1.6 AT 4AT Sedan 4AT 98 л.с. 2005 г. 2007 г.
Mitsubishi Lancer 1.6 AT 4AT Wagon 4AT 113 л.с. 1991 г. 2000 г.
Mitsubishi Lancer 1.6 AT 4AT Wagon 4AT 98 л.с. 2003 г. 2005 г.
Mitsubishi Lancer 1.6 AT 4AT Wagon 4AT 98 л.с. 2005 г. 2007 г.
Mitsubishi Lancer 1.6 MCA MT 5MT 4dr Sedan 5MT 92 л.с. 1975 г. 1976 г.
Mitsubishi Lancer 1.6 MT 5MT 2dr Sedan 5MT 100 л.с. 1973 г. 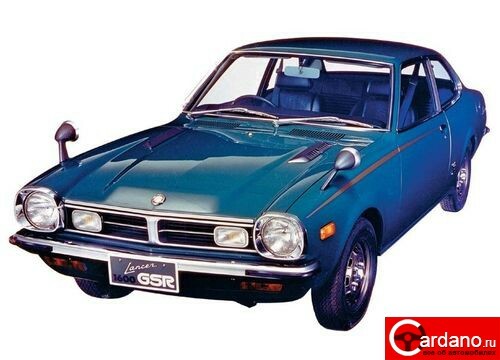 1974 г.
Mitsubishi Lancer 1.6 MT 5MT 4dr Sedan 5MT 100 л.с. 1974 г. 1975 г.
Mitsubishi Lancer 1.6 MT 5MT 4dr Sedan 5MT 86 л.с. 1976 г. 1979 г.
Mitsubishi Lancer 1.6 MT 5MT 4dr Sedan 5MT 113 л.с. 1991 г. 1994 г.
Mitsubishi Lancer 1.6 MT 5MT 4dr Sedan 5MT 140 л.с. 1992 г. 1994 г.
Mitsubishi Lancer 1.6 MT 5MT 4dr Sedan 5MT 175 л.с. 1993 г. 1995 г.
Mitsubishi Lancer 1.6 MT 5MT 4dr Sedan 5MT 175 л.с. 1995 г. 1997 г.
Mitsubishi Lancer 1.6 MT 5MT 4dr Sedan 5MT 98 л.с. 2003 г. 2005 г.
Mitsubishi Lancer 1.6 MT 5MT Sedan 5MT 82 л.с. 1979 г. 1983 г.
Mitsubishi Lancer 1.6 MT 5MT Sedan 5MT 86 л.с. 1979 г. 1983 г.
Mitsubishi Lancer 1.6 MT 5MT Sedan 5MT 113 л.с. 1993 г. 1996 г.
Mitsubishi Lancer 1.6 MT 5MT Sedan 5MT 175 л.с. 1997 г. 2000 г.
Mitsubishi Lancer 1.6 MT 5MT Sedan 5MT 98 л.с. 2005 г. 2007 г.
Mitsubishi Lancer 1.6 MT 5MT Wagon 5MT 113 л.с. 1991 г. 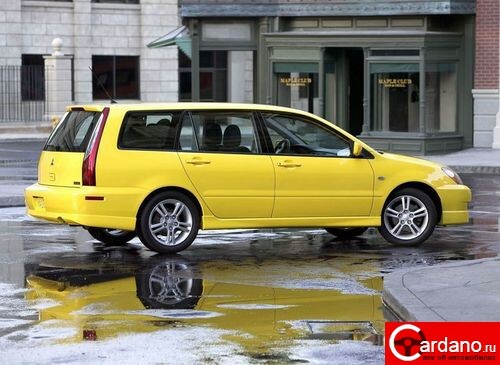 2000 г.
Mitsubishi Lancer 1.6 MT 5MT Wagon 5MT 98 л.с. 2003 г. 2005 г.
Mitsubishi Lancer 1.6 MT 5MT Wagon 5MT 98 л.с. 2005 г. 2007 г.
Mitsubishi Lancer 1.8 AT 4AT 4dr Sedan 4AT 135 л.с. 1995 г. 1997 г.
Mitsubishi Lancer 1.8 AT 4AT Sedan 4AT 135 л.с. 1997 г. 2000 г.
Mitsubishi Lancer 1.8 CVT 4WD CVT Sedan CVT 130 л.с. 2000 г. 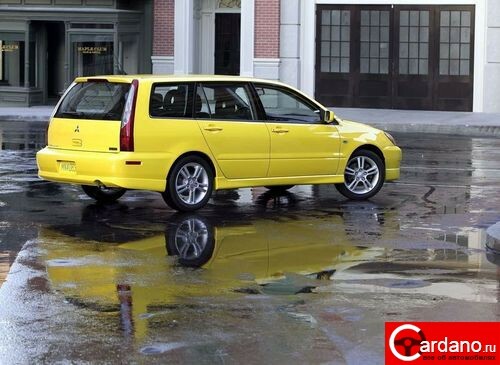 2003 г.
Mitsubishi Lancer 1.8 CVT 4WD CVT Wagon CVT 130 л.с. 2000 г. 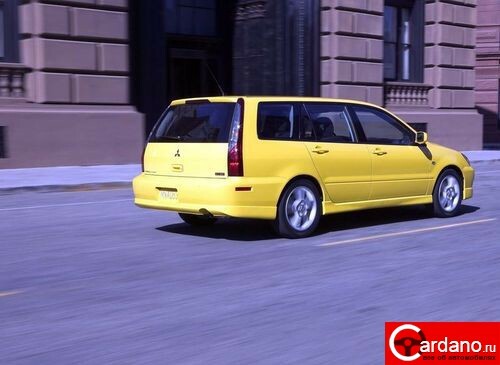 2003 г.
Mitsubishi Lancer 1.8 CVT 4WD CVT Wagon CVT 114 л.с. 2003 г. 2004 г.
Mitsubishi Lancer 1.8 CVT CVT 4dr Sedan CVT 114 л.с. 2003 г. 2005 г.
Mitsubishi Lancer 1.8 CVT CVT 4dr Sedan CVT 143 л.с. 2007 г. 2010 г.
Mitsubishi Lancer 1.8 CVT CVT 5dr HB CVT 143 л.с. 2008 г. 2010 г.
Mitsubishi Lancer 1.8 CVT CVT Sedan CVT 130 л.с. 2000 г. 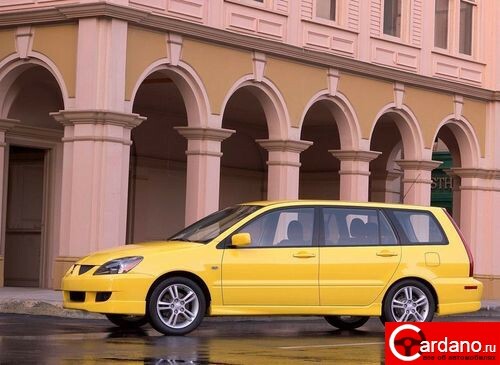 2003 г.
Mitsubishi Lancer 1.8 CVT CVT Wagon CVT 130 л.с. 2000 г. 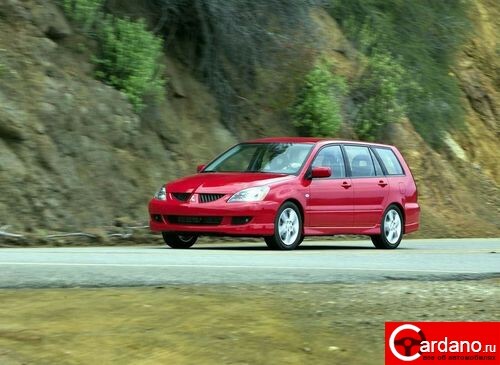 2003 г.
Mitsubishi Lancer 1.8 CVT CVT Wagon CVT 114 л.с. 2003 г. 2004 г.
Mitsubishi Lancer 1.8 D MT 5MT Sedan 5MT 60 л.с. 1988 г. 1989 г.
Mitsubishi Lancer 1.8 D MT 5MT Sedan 5MT 60 л.с. 1989 г. 1990 г.
Mitsubishi Lancer 1.8 D MT 5MT Sedan 5MT 60 л.с. 1990 г. 1993 г.
Mitsubishi Lancer 1.8 MT 5MT 4dr Sedan 5MT 140 л.с. 1991 г. 1994 г.
Mitsubishi Lancer 1.8 MT 5MT 4dr Sedan 5MT 143 л.с. 2007 г. 2010 г.
Mitsubishi Lancer 1.8 MT 5MT 5dr HB 5MT 143 л.с. 2008 г. 2010 г.
Mitsubishi Lancer 1.8 T AT 4AT 4dr Sedan 4AT 165 л.с. 2003 г. 2004 г.
Mitsubishi Lancer 1.8 T AT 4AT 5dr Wagon 4AT 165 л.с. 2000 г. 2003 г.
Mitsubishi Lancer 1.8 T AT 4AT Wagon 4AT 165 л.с. 2003 г. 2004 г.
Mitsubishi Lancer 1.8 T AT 4WD 4AT 4dr Sedan 4AT 195 л.с. 1991 г. 1994 г.
Mitsubishi Lancer 1.8 T AT 4WD 4AT 4dr Sedan 4AT 205 л.с. 1995 г. 1997 г.
Mitsubishi Lancer 1.8 T AT 4WD 4AT Sedan 4AT 205 л.с. 1997 г. 2000 г.
Mitsubishi Lancer 1.8 T MT 4WD 5MT 4dr Sedan 5MT 195 л.с. 1991 г. 1994 г.
Mitsubishi Lancer 1.8 T MT 4WD 5MT 4dr Sedan 5MT 205 л.с. 1995 г. 1997 г.
Mitsubishi Lancer 1.8 T MT 4WD 5MT Sedan 5MT 205 л.с. 1997 г. 2000 г.
Mitsubishi Lancer 1.8 T Ralliart AT 4AT Sedan 4AT 165 л.с. 2005 г. 2007 г.
Mitsubishi Lancer 1.8 T Ralliart AT 4AT Wagon 4AT 165 л.с. 2003 г. 2005 г.
Mitsubishi Lancer 2.0 AT 4AT 4dr Sedan 4AT 135 л.с. 2003 г. 2005 г.
Mitsubishi Lancer 2.0 AT 4AT 4dr Sedan 4AT 121 л.с. 2004 г. 2005 г.
Mitsubishi Lancer 2.0 AT 4AT Sedan 4AT 114 л.с. 2005 г. 2007 г.
Mitsubishi Lancer 2.0 AT 4AT Sedan 4AT 121 л.с. 2005 г. 2007 г.
Mitsubishi Lancer 2.0 AT 4AT Sedan 4AT 135 л.с. 2005 г. 2007 г.
Mitsubishi Lancer 2.0 AT 4AT Wagon 4AT 135 л.с. 2003 г. 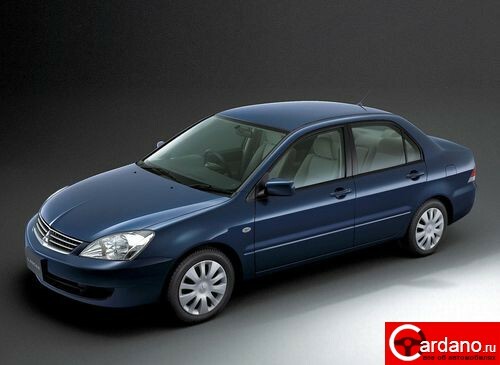 2005 г.
Mitsubishi Lancer 2.0 CVT 4WD CVT 4dr Sedan CVT 150 л.с. 2007 г. 2010 г.
Mitsubishi Lancer 2.0 CVT CVT 4dr Sedan CVT 145 л.с. 2007 г. 2010 г.
Mitsubishi Lancer 2.0 CVT CVT 4dr Sedan CVT 155 л.с. 2007 г. 2010 г.
Mitsubishi Lancer 2.0 CVT CVT Sedan CVT 142 л.с. 2010 г. 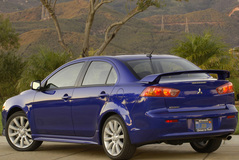 2012 г.
Mitsubishi Lancer 2.0 D MT 5MT 4dr Sedan 5MT 68 л.с. 1992 г. 1994 г.
Mitsubishi Lancer 2.0 D MT 5MT Wagon 5MT 68 л.с. 1992 г. 2000 г.
Mitsubishi Lancer 2.0 DI-D MT 6MT 5dr HB 6MT 140 л.с. 2008 г. 2010 г.
Mitsubishi Lancer 2.0 MT 4WD 5MT 4dr Sedan 5MT 150 л.с. 2007 г. 2010 г.
Mitsubishi Lancer 2.0 MT 5MT 4dr Sedan 5MT 135 л.с. 2003 г. 2005 г.
Mitsubishi Lancer 2.0 MT 5MT 4dr Sedan 5MT 121 л.с. 2004 г. 2005 г.
Mitsubishi Lancer 2.0 MT 5MT 4dr Sedan 5MT 145 л.с. 2007 г. 2010 г.
Mitsubishi Lancer 2.0 MT 5MT 4dr Sedan 5MT 155 л.с. 2007 г. 2010 г.
Mitsubishi Lancer 2.0 MT 5MT Sedan 5MT 121 л.с. 2005 г. 2007 г.
Mitsubishi Lancer 2.0 MT 5MT Sedan 5MT 135 л.с. 2005 г. 2007 г.
Mitsubishi Lancer 2.0 MT 5MT Sedan 5MT 142 л.с. 2010 г. 2012 г.
Mitsubishi Lancer 2.0 MT 5MT Wagon 5MT 135 л.с. 2003 г. 2005 г.
Mitsubishi Lancer 2.0 MT 5MT Wagon 5MT 135 л.с. 2005 г. 2007 г.
Mitsubishi Lancer 2.0 MT 6MT 4dr Sedan 6MT 280 л.с. 2006 г. 2008 г.
Mitsubishi Lancer 2.0 MT AWD Turbo Intense 5MT 4dr Sedan 5MT 295 л.с. 2008 г. 2013 г.
Mitsubishi Lancer 2.0 T MT 5MT 4dr Sedan 5MT 170 л.с. 1981 г. 1983 г.
Mitsubishi Lancer 2.0 TD AT 4AT 4dr Sedan 4AT 88 л.с. 1992 г. 1994 г.
Mitsubishi Lancer 2.0 TD AT 4AT 4dr Sedan 4AT 88 л.с. 1995 г. 1997 г.
Mitsubishi Lancer 2.0 TD AT 4AT Sedan 4AT 88 л.с. 1997 г. 2000 г.
Mitsubishi Lancer 2.0 TD AT 4WD 4AT 4dr Sedan 4AT 88 л.с. 1992 г. 1994 г.
Mitsubishi Lancer 2.0 TD AT 4WD 4AT 4dr Sedan 4AT 88 л.с. 1995 г. 1997 г.
Mitsubishi Lancer 2.0 TD AT 4WD 4AT Sedan 4AT 88 л.с. 1997 г. 2000 г.
Mitsubishi Lancer 2.0 TD MT 4WD 5MT 4dr Sedan 5MT 88 л.с. 1992 г. 1994 г.
Mitsubishi Lancer 2.0 TD MT 4WD 5MT 4dr Sedan 5MT 88 л.с. 1995 г. 1997 г.
Mitsubishi Lancer 2.0 TD MT 4WD 5MT Sedan 5MT 88 л.с. 1997 г. 2000 г.
Mitsubishi Lancer 2.0 TD MT 5MT 4dr Sedan 5MT 88 л.с. 1992 г. 1994 г.
Mitsubishi Lancer 2.0 TD MT 5MT 4dr Sedan 5MT 88 л.с. 1995 г. 1997 г.
Mitsubishi Lancer 2.0 TD MT 5MT Sedan 5MT 88 л.с. 1997 г. 2000 г.
Mitsubishi Lancer 2.4 AT 4AT 4dr Sedan 4AT 164 л.с. 2003 г. 2005 г.
Mitsubishi Lancer 2.4 CVT CVT 4dr Sedan CVT 170 л.с. 2008 г. 2010 г.
Mitsubishi Lancer 2.4 CVT CVT Sedan CVT 163 л.с. 2010 г. 2012 г.
Mitsubishi Lancer 2.4 MT 5MT 4dr Sedan 5MT 164 л.с. 2003 г. 2005 г.
Mitsubishi Lancer 2.4 MT 5MT 4dr Sedan 5MT 170 л.с. 2008 г. 2010 г.
Mitsubishi Lancer 2.4 MT 5MT Sedan 5MT 163 л.с. 2010 г. 2012 г.
Mitsubishi Lancer 2.4 Ralliart AT 4AT Wagon 4AT 164 л.с. 2003 г. 2005 г.
Mitsubishi Lancer 2.4 Ralliart MT 5MT Sedan 5MT 164 л.с. 2005 г. 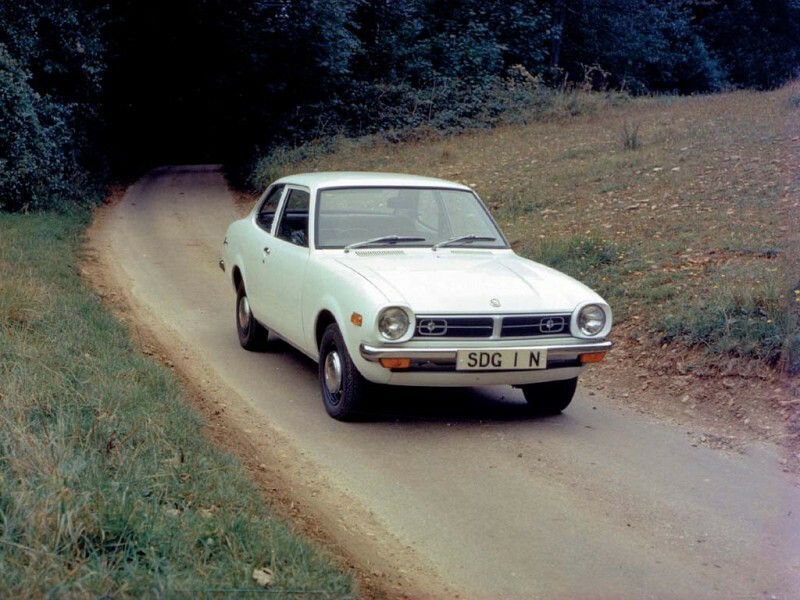 2007 г.
Авто Mitsubishi Lancer выпускались с 1978 по 2002 года. За это время было продано около шести миллионов автомобилей данной модели. Рассмотрим Mitsubishi Lancer 2001 года выпуска. 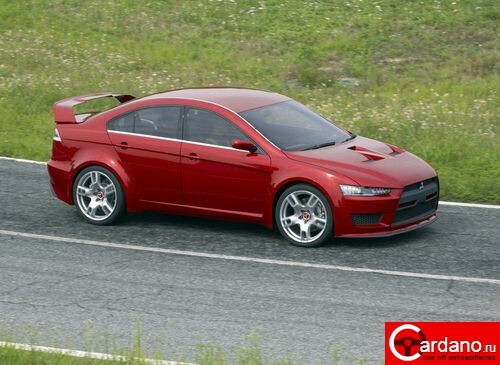 Размеры машины Mitsubishi Lancer: длина составляет 4,570 м, ширина – 1,760 м, высота – 1,505 м, колесная база – 2,635 м. В автомобиле четыре двери и пять мест. Характеристика двигателя Mitsubishi Lancer: мощность его составляет 117 лошадиных сил при 6100 оборотах в минуту. Объем двигателя – 1590 кубических сантиметра. Объем топливного бака составляет 59 литров. До ста километров в час автомобиль набирает скорость за 10,8 секунды. Максимальная возможная скорость –190 км/ч. Расход топлива: по городу – 8 литров на 100 км, по трассе – 5,2 л.
Подвеска Mitsubishi Lancer: передняя – независимая Макферсон, задняя – независимая многорычажная. Рекомендуемое топливо для заправки: бензин марки АИ-95.